How to add watermark to MKV files? What is MKV files? Why we need to add watermark to MKV files? MKV is one of the media files of Matroska. Its biggest feature is able to contain various kind of video codes, audios, and subtitles. The common issue which we often encounter on video editing is, how to add watermark to MKV. Without using linear editing software, how can we add watermark to MKV video? Or how to prevent MKV quality from jeopardizing after we add watermark to MKV files? How to add watermark to MKV video? 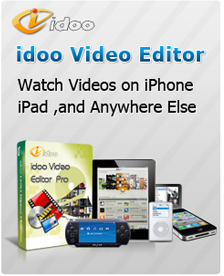 idoo Video Editor can solve the issues mentioned above. It allows any output format settings while running advanced editing like adding subtitles, music, etc. 1. 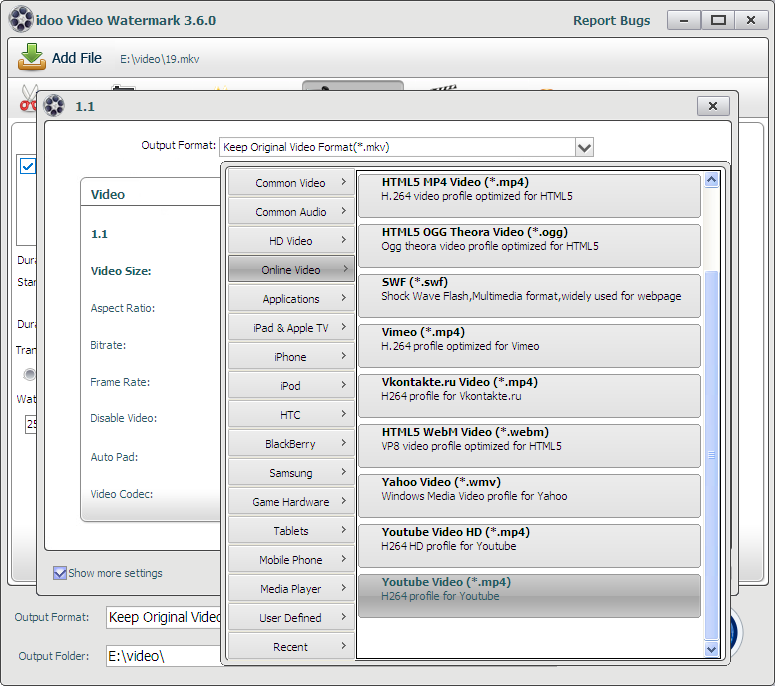 Open idoo Video Editor, open "Add Watermark" function, add the MKV video which needs to be edit.See the picture above. 2. Then click “ Add Picture Watermark” to add picture watermark, and set the location and starting time of watermark. See the picture above. 3. After all the settings, click Output Settings to choose one format you like to convert on the Format Menu. Here is an example choice of YouTube video format. As shown above. 4. Finally, return to the main interface and click Start to begin editing and converting. After that, you can get your YouTube video after rendering. As shown above.